Her Majesty will receive the president in London tomorrow. Here’s what he needs to know. Call her “ma’am.” Compliment the dogs. And, please, Mr. President, don’t bring any damn DVDs. We are so delighted that you and your wife will be joining us at Buckingham Palace tomorrow. We will do our best to ensure the weather is fine for your visit, but unfortunately since our forebears abandoned absolute monarchy in 1689, the climate has been rather less under our control. One hears that the globe is warming but we see little evidence of it here in drizzly London. I understand you have been taking lessons in royal protocol at your country house in Camp David. I do hope your minions did not confuse you with talk about farms and hams. I appreciate "ma'am" comes less naturally to the American tongue than "ma'am" but we make allowances for our guests from overseas. Can you believe that ever since that film with the delightful Helen Mirren playing myself became such a success I've had a string of visitors stumbling over their greeting and actually calling me "Farm"? Which is more forgivable than your predecessor, Mr. President, who winked at me during my state visit to America a couple of years ago, after stumbling himself into the suggestion that I was somehow born in 1776. Farm is mildly amusing, Mr. Obama; a wink, is not. And, while we are on the subject of films, I think a boxed set of DVDs is unnecessary, don't you? Our press got frightfully upset when you gave some American "movies" to our prime minister recently and took it as a bit of a snub. One does have to tread carefully around such national sensitivities. It is not, between ourselves, something Mr. Bush was terribly adept at, we are rather hoping for improvement, and so we’re glad to hear you refer recently to the "special relationship" between our two nations. I must say, my subjects have been in quite a state over your election. I honestly do not think I have seen so much excitement since Elvis Presley visited Britain in 1960, and that was only to change planes at Prestwick. I appreciate that some of the blush has come off the romance because of the financial crisis but Brits have an alarming capacity for abandoning their normal, admirable reserve for curious displays of adulation. I fear this week may see some of that and I do just hope we can avoid any embarrassing outpourings of excessive emotion. Not that we too are not excited to meet America's first black president. But you will forgive me for reminding you that one finds presidents come and go. You will be the 11th American leader to serve during my reign, Mr. Obama. I have had the honour of meeting them all, except President Johnson (for reasons I still don't fully understand, somehow our schedules never coincided). I am well aware that our nation has lost some of its global clout during those decades. When I came to power, there still were large chunks of the world coloured pink on the nation's maps. That said, we are still a proud country and Mr. Brown would certainly like this week's summit to reflect some of our former greatness. In any case, your own country's greatness is, with all due respect, a shade diminished these days. Indeed you may find some rather obstreperous Europeans in London. So we do hope a degree of international cooperation can be mustered. Mr. Brown can be a rather dour fellow, but he means well and it would be a relief to see him cheered up a little. It is a problem with Scots—too little sunshine, one suspects. Perhaps your wife could have a quiet word with Sarah? And what a pity your two beautiful daughters are not able to join us at the Palace. I was looking forward to introducing them to the corgis, and perhaps doing my bit to influence the decision of First Puppy. A corgi is a very fine animal, Mr. Obama. In fact, yes, the more I think of it, maybe I should have a little chat with whomever is organising our end of the official gift exchange. I am quite sure it is not too late to switch the customary pen for a corgi pup. And I can't imagine a better symbol of trans-Atlantic rapprochement. P.S. We tend to serve hot tea at the Palace, not the flavoured iced version to which I hear you are partial. But on my visits to your country I do find that tea is one thing Americans can still learn from us Brits. I think it is the water. You never quite bring it to boiling point. 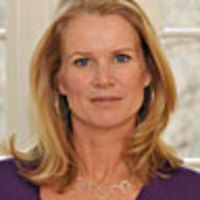 Katty Kay covers US politics for the British Broadcasting Corporation. She is Washington correspondent for BBC World News America and has lived in D.C. for the past 12 years. She is the author, with Claire Shipman, of the upcoming book Womenomics: Write Your Own Rules for Success.